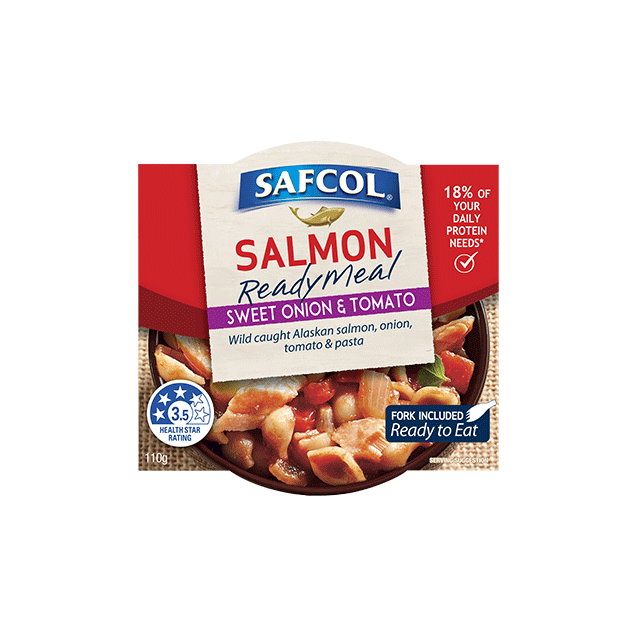 Safcol Salmon Ready Meal Sweet Onion & Tomato with wild caught Alaskan salmon, onion, tomato & pasta. 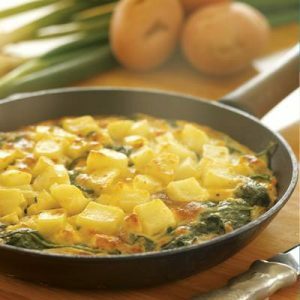 18% of your daily protein needs. Ingredients Pink Salmon (Oncorhynchus Gorbuscha) (30%), Vegetables (Onion, Tomato) (34%), Pasta (24%), Tomato Sauce (Vinegar, Sunflower Oil, Sugar, Tomato Paste, Salt, Modified Tapioca Starch (1442), Natural Colour (Paprika Oleoresin), Food Acid (Citric), Chilli Powder, Thickener (415)).